In making his functional pottery, Noah Riedel’s approach is more that of a designer than of an aesthetician. He values beauty in equal measure with any other element of design, but seeks a beauty that is spare in nature. Noah dissects familiar forms to identify essential or archetypal elements and restructures them using traditional production techniques sometimes adding complexity, other times simplifying things. While at the Bray, he intends to expand his color palette and to take full advantage of the diverse range of kilns and firing possibilities available to him. Noah Riedel received his BA from University of North Carolina, Wilmington, in 2002. 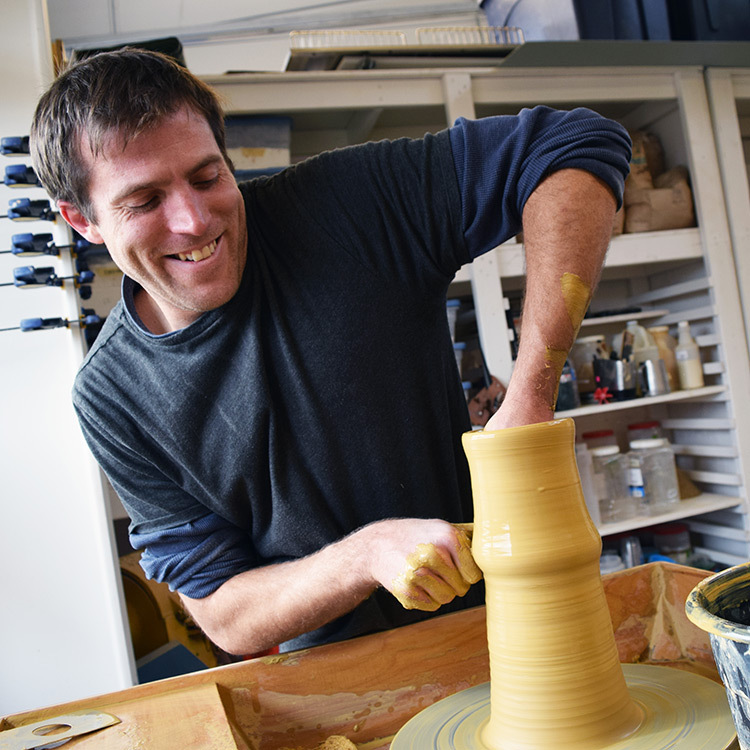 Afterward, he completed a two-year apprenticeship with potter Mark Hewitt. Noah has also attended residencies in Seattle, Washington, Kansas City, Missouri, and Skaelskor, Denmark. In 2009, Noah joined with 26 other artists to create the Franklin Street Arts Collective, an artist-run gallery in Chapel Hill, North Carolina. Noah Riedel is currently the 2016-2017 Speyer Fellow. To view more work by Noah visit his website at noahriedel.com.